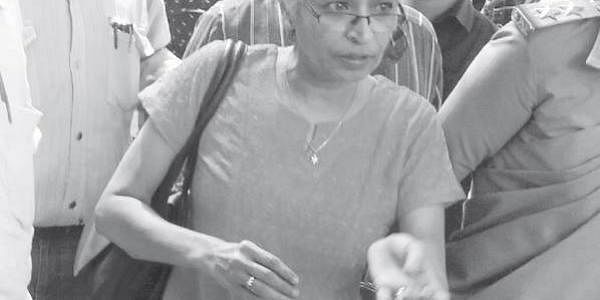 HUBBALLI: The Second JMFC Court here granted bail to journalist Gauri Lankesh in a defamation case filed by Dharwad MP Prahlad Joshi and other BJP leaders. The court directed Gauri to furnish a personal bond of `25,000. The next hearing of the case will be on October 5. Gauri was produced before the court by the police on Saturday after the court issued an arrest warrant against her for not appearing before it and failing to respond to earlier warrants. In 2008, Gauri had published an article against BJP leaders Joshi, Venkatesh Mestry (former mayor), Umesh Dushi and Shivanand Bhat in a Kannada tabloid edited by her. Following this, the leaders had filed a criminal defamation case against her. Dushi’s advocate Sanjeev Badaskar said Gauri had moved the High Court seeking to quash the case. But the court had granted only four weeks’ stay on the case. Three months ago, the High Court had observed that the case could not be dismissed and hearing should continue in the lower court. The High Court also directed the lower court to complete the trial in the case within six months, Badaskar said.